3DS Beginning to Heat Up? Okay, I will always admit that I'm not a fan of Nintendo. Of course I won't spend this article going into to much detail as to why, but I will say that the list is fairly long. There is however some things the company has done to improve my thoughts on them. 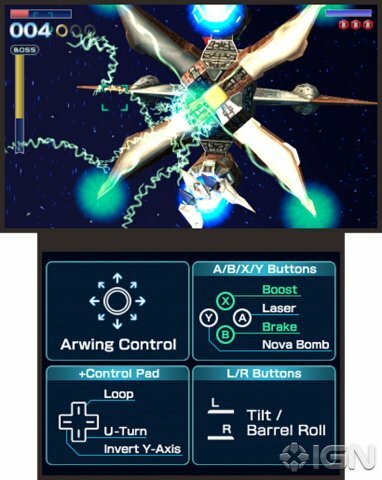 One of those being Star Fox: Assault on the GameCube. 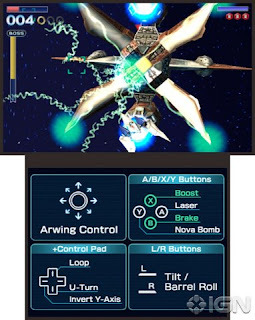 While it is regarded (by reviewers/game media alike) as the worst Star Fox game, something I don't have any idea how they could think that, but I love it. This single game began a transition for me back to Nintendo. To say the least Star Fox is my favorite series Nintendo has made and I'm greatly anticipating the release of Star Fox 64 3D. I never owned the N64 and I never played the original release. So for me this will be the first time I play this part of the story/timeline. And with everyone I know talking very highly of SF64 it makes me even more excited for the September 9th release. On top of the fact it will be my first actual 3DS title I pick up. So everything is leading to a great bridge being built between me and Nintendo. That is if Nintendo doesn't make a poor remake of the original title....which is still possible...So....hm....my stance on Nintendo might not change...there is still the fact there has been nothing worthwhile released on the 3DS since launch. Even the launch didn't have anything worth while. Makes me think that Nintendo was just trying to get by on the name and the lazy 3D gimmick they threw in to add "value" to the device. Also don't get my started on Ocarina of Time 3D. That was just another remake and I'm not a Zelda fan. Never was and I don't foresee myself being one anytime soon. A remake isn't going to do it either. What was I talking about? Hmmm. Oh yeah! Star Fox 64 3D is my one and only 3DS release that means absolutely anything to me. Like I said earlier in this very article, however a remake is not going to make a system for me. I want to see new things. 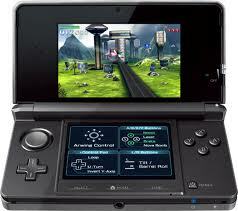 My reasoning behind getting the 3DS a couple months ago was due to the system's work with 3D and the promise of games like Final Fantasy, Star Fox and even Kingdom Hearts (which is still a franchise that I'm interested in, even though it has faded over the years), but I've never played SF64 before. Making this release a must have for me. A Wii release should have happened, but was obviously not in the cards when the Wii was at its peak. Might have forced me to likely pick the system up sooner had there been a Wii game released. With Nintendo coming out and offering 20 free games (starting in September for early adopters of the system from February to August) in an attempt to make up for the lack of software being released between launch and now, GBA and NES titles on the eshop app, Nintendo is at least putting effort out to please the gamers who didn't think it would be this long of a barren wasteland. Kinda reminds me of what happened to the PSP. Just the PSP had a strong launch line-up.